Headache relief: This stuff is potent, so if you’re using it for headache relief at the temples, apply a tiny amount to your finger tips first, then massage into your temples and scalp. If your pain is at the base of your skull, feel free to spray or use your roll on. Be sure to wash your hands after touching it so you don’t get it in your eyes! 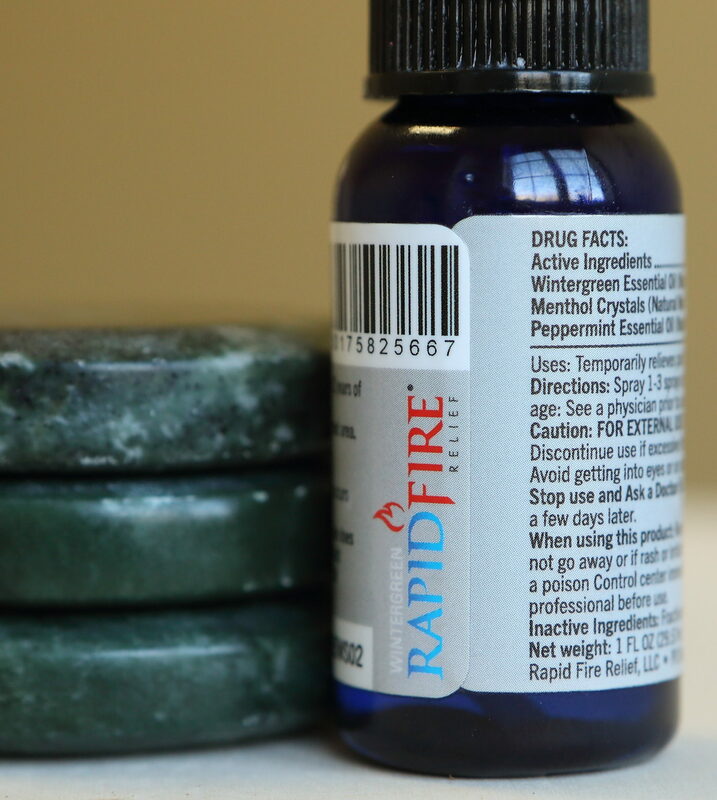 Pure ingredients: Rapid Fire is made with wintergreen, a natural form of aspirin, peppermint for a counter irritant (to draw your attention away from underlying pain), spearmint and camphor which are analgesics (numbing agents). The active ingredients are blended in coconut oil which slows the absorption so it lasts longer than most products. It doesn’t contain alcohol found in many drug store pain relievers because alcohol makes the effect wear off faster. 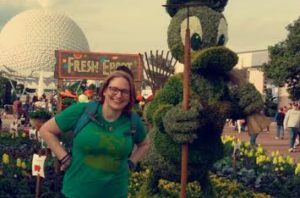 It passed the “Disney Test!”: Kelly suffers from horrible migraines and she swears that Rapid Fire is how she survived long days at the park on the rides, standing in lines, and walking for miles. It is locally crafted by an individual who is incredibly passionate (maybe even a bit intense) about pain relief: Kevin Burns, a central Iowa MMA fighter, created an essential oil blend to help with his own pain, but quickly found himself helping other fighters. Eventually his business was born. There is something really satisfying about using a product that is so passionately and whole-heartedly backed by the person who created it, especially when the product actually works as well as he claims it does. Learn about Kevin and the company here. In pain? Book a massage! 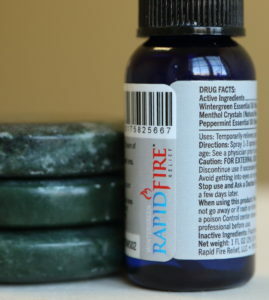 Before your service starts, ask your massage therapist to grab a bottle of Rapid Fire to use on any sore areas. In a hurry? Stop in and ask our front desk to let you sample the product to see if it is the right pain reliever for you! Our nail technician (and esthetician) Hannah shared her top 7 tips to keep your CND Shellac manicures looking great this summer (and tips for what to do if you get a chip). Oil! Lots and lots of cuticle oil. Apply cuticle oil to your shellac manicure at least once a day to improve your manicure’s longevity. When the nail bed becomes dehydrated, your shellac is more likely to chip off. Bonus: Keeping cuticle oil on the skin around your nails will also reduce the likelihood of getting hangnails and dry skin surrounding the nail. We recommend CND Solar Oil which is made from Jojoba and Sweet Almond Oils to nourish the skin and nail. Not only can harsh cleaning agents and chemicals dehydrate your nails, but they can also change the chemistry of your shellac. Some shellac colors may change slightly when exposed to cleaning agents, or even melt a little! We recommend wearing thick cleaning gloves to protect your manicure, as well as rinsing your hands with soap and water, and finishing with lotion and cuticle oil to maintain a beautiful manicure AND a clean house. We love fun in the sun as much as anyone else, and CND Shellac is the perfect product for a manicure that outlasts the sand as well as the water. However, when our nails absorb water, it causes them to expand and contract just the same way a wet sponge does, which can lead to peeling. So should you go to the beach in latex gloves?! As much as that would be a sight to see, we just recommend washing your hands with mild soap and water after you are done swimming to wash away the excess chlorine or salt. If you know you’re going to be swimming a lot, let your nail technician know, and we have a few tricks up our sleeves! Remember to always re-hydrate your nails with cuticle oil at the end of your beach or pool day. You’ve heard it before and you’ll hear it again, make sure you are drinking plenty of water which hydrates the nail from the inside out, and assists in keeping the nails from splitting, cracking or peeling. 5. Treat Your Nails Like Jewels-Not Tools! Many times shellac chips or peels it’s because we are treating our nails as tools. This is admittedly a very hard habit to break, and it’s something I personally am VERY guilty of. Use caution when opening soda cans, peeling stickers or price tags off of new items, and even doing dishes. Again, here is where a pair of rubber gloves can seriously be a great investment in the kitchen. I just love when the spring and summer comes here in Iowa, the flowers start blooming, and I can grow fresh produce in my yard. Unfortunately, with gardening comes WEEDING. Gardening gloves are an absolute must for the gardener who also loves their manicure! Bonus: Adding a layer of latex surgical gloves underneath your gardening gloves is a great barrier option for keeping dirt and debris out from under your nails. CND Shellac is the only true non-damage long wearing manicure on the market. That being said, improper removal can ABSOLUTELY damage your nails! My goodness is it satisfying when a corner of polish lifts up and you can slide the whole fingernail’s worth of shellac off in one lovely sheet. However, this often takes layers of your actual nail plate along with it, and weakens your nails. If this does happen to you, it’s best to give your nails a few weeks to recover before trying another shellac manicure, and make sure you are using plenty of Solar Oil and lotion daily. Shellac that is applied to compromised nail plates is at risk for peeling and chipping sooner than when it is applied to healthy nails. Remember to schedule an appointment to have your shellac soaked off by your nail technician 2-3 weeks after application! Worst case scenario, click here to see our video on removing it safely yourself at home. If the whole manicure to be re-done or just removed, call the spa and book a removal with us! A stand-alone appointment for removal usually only takes us 15-20 minutes, and we would love to assist you in removing them properly. MOST of our shellac shades are also available in CND Vinylux corresponding colors! So if you are worried about chipping, purchase a Vinylux color for touch-ups on the go. If your chip is just on the edge of your nail, trim the edge of the nail where the chip is, and file lightly with a high-grit nail file like the one we offer you at the end of your manicure. If all else fails and you end up losing a nail of your shellac manicure try rocking an accent nail by covering the chipped polish with an accent color of your choice! 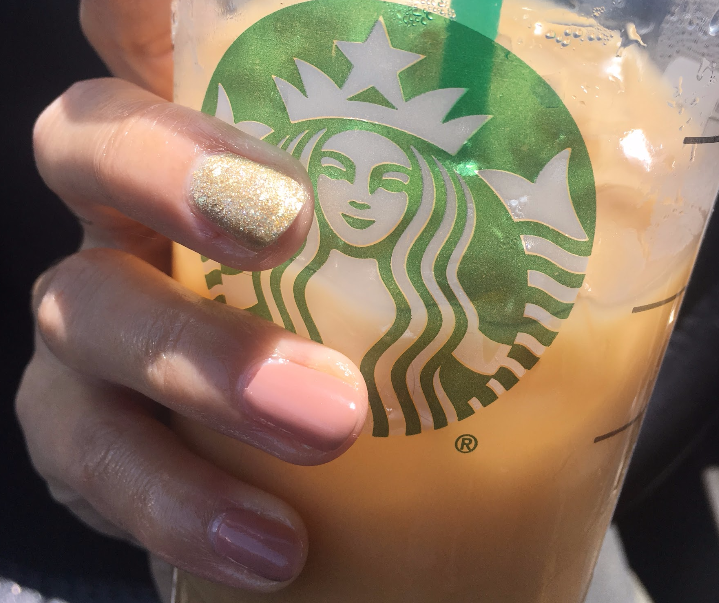 If you your Shellac chips off of a nail, rock an accent nail like Hannah did in this pic with a polish you have on hand, especially if it is a glittery one. 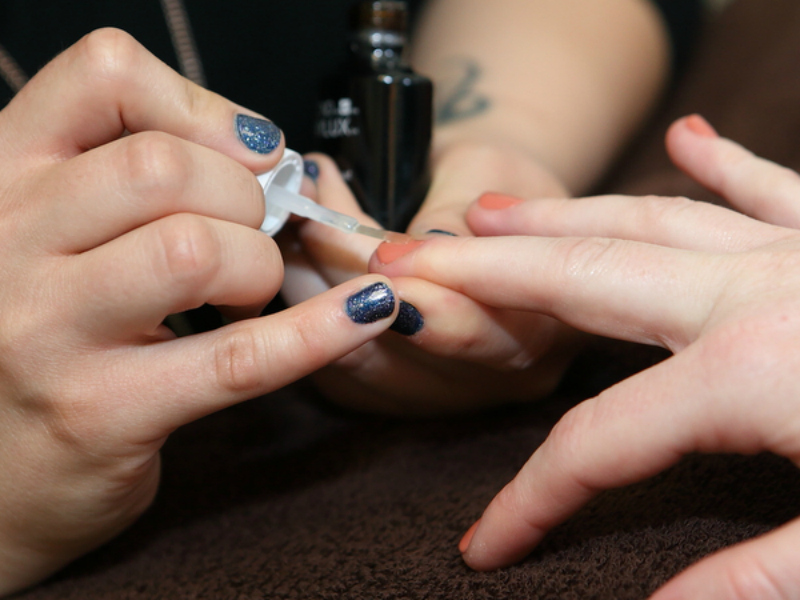 Ready to book your Shellac manicure? 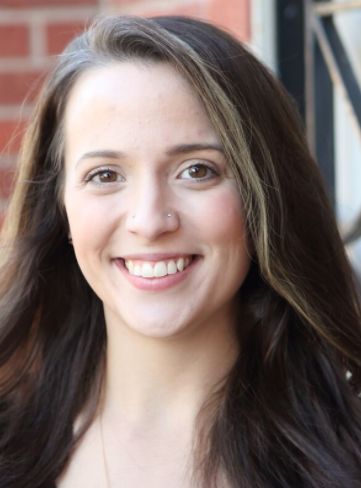 Click here to schedule with Hannah or any of our great nail technicians! They are all a wealth of information and ideas on nail issues and look forward to your visit! We’ve all been there, you show up for a spa service and realize you are wearing your stinky sandals, or you spent a day at a pool party and got some extra sun a couple of days before your massage. The good news is it is fine, and expected, for our guests to mention these and other common summer issues to their provider BEFORE the session so we can make accommodations! If you are worried your feet are not as fresh as they could be and it is going to bother you so much that you can’t just relax, it is fine to mention it to your provider before hand! While you’re getting ready, they can prepare some hot towels with tea tree oil to freshen up your feet so you can relax into your session! 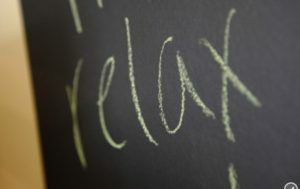 Other spas and massage therapists are likely to have solutions as well. Summer is the season of “bonus exfoliation” in massage treatments. Dry, sun-exposed skin will sometimes ball up as we massage the back, but fear not because we have a solution. Once this starts, we’ll add some extra oil to the back and buff it with a dry towel, this usually takes care of the layer of dead skin so we can get back to massage! If you suspect this will happen, let us know in advance so we can start the session this way and your massage can have a better flow to it. If you have big pieces of peeling skin or a serious burn, that is different. In that case, it is best to reschedule your massage with plenty of advanced notice or ask your therapist to avoid the area. Let your therapist know before the service starts. While people with a healthy immune system have better luck avoiding person-to-person infection from a fungus, people who are pregnant or who have certain health concerns may be especially susceptible to infection so they will want to avoid the area or work with gloves. If you are booking a nail service but have a nail fungus, your nail technician can complete all of the service safely except that if you want polish, you will have to bring your own or purchase a bottle of polish and any base or top coat you wish to have used for the safety of other guests. Unfortunately, a pedicure can’t cure a fungal infection. Learn more here. 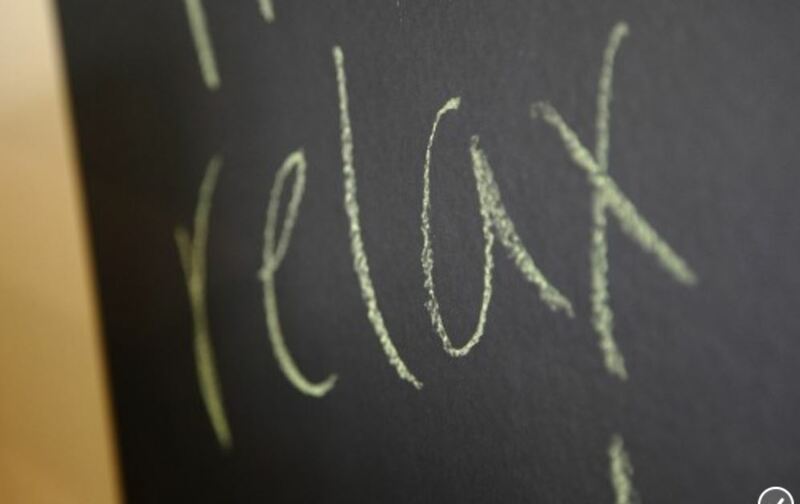 If you have a rash that is more than on just one small area of the body away from where your therapist or esthetician will be working, please reschedule your service. If you have poison ivy, you definitely need to reschedule! The risk of transmitting poison ivy to your therapist and to many clients they see is too great. Please give as much notice as possible and believe us, we’ll thank you for rescheduling. Click here for our blog post on poison ivy. Whew, see, that wasn’t so awkward, was it? It is important to have an open dialogue with your massage therapist, esthetician, and nail technicians. They are experts at what they do and are eager to help you feel comfortable, but they need good communication and feedback from you to make that possible. Ready to schedule a visit? Click here!